Dwelling insurance covers your house, but homeowners insurance also covers its contents. 2. What Is the Homeowner Insurance Declaration Page? 3. What Is Dwelling Insurance? Homeowners insurance protects your house, but it insures more than dwelling insurance does. Dwelling insurance protects your home structure from many natural perils, except floods or earthquakes. Homeowners insurance also protects additional structures on the property, such as detached garages and backyard sheds. Unlike most property dwelling coverage, homeowners insurance also protects your personal property. Liability insurance is also included in your homeowners protection, but it typically must be bought separately or added to dwelling policies. Homeowners insurance covers liability, which you face if a visitor suffers injury or property damage while on your property. Unless you purchase a separate liability policy or add this coverage to your policy with a rider for a separate premium, standard property dwelling insurance does not come with this protection. Also called "contents," personal property is covered in most standard homeowners policies but is not included in property dwelling coverage. Your personal property includes your furniture, clothing, large and small appliances and other items not considered structures. However, if you have expensive jewelry, art or antiques, you should consider separate policy riders that specifically cover these items. Property dwelling insurance does not cover your property's contents unless you add this coverage to the policy. If you purchase property dwelling insurance with contents coverage, you'll be reimbursed for damaged, destroyed or stolen personal items. 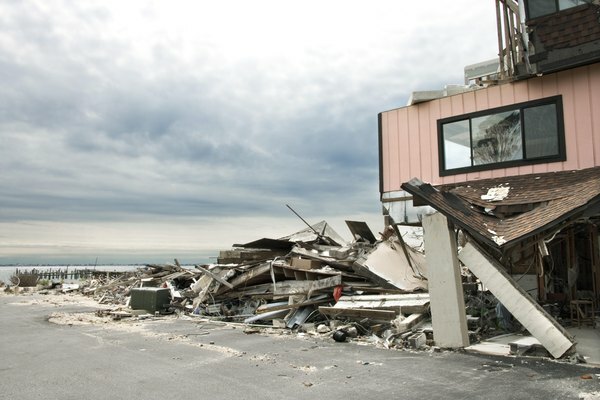 Typically called "loss of use" coverage, this feature of homeowners insurance reimburses you for temporary living expenses if your house is damaged and uninhabitable while it's being repaired. Most insurance policy language specifies that your home must be damaged by a covered peril. For example, should your home suffer fire damage, costs you incur for temporary living expenses that maintain a "normal standard of living" will be reimbursed. Standard property dwelling insurance does not cover these expenses. Most insurance policies refer to "perils," or the events or forces that cause losses. Homeowners and property dwelling insurance often differ in covered perils. Property dwelling insurance offers "named perils" coverage, providing protection for specific causes of loss, with other disasters excluded from protection. Most homeowners insurance provides "all perils" coverage for your home, which protects against all causes of loss, except those specifically excluded from the policy. However, even many "all perils" homeowners insurance policies cover your personal property for "named perils" only. A careful read of the fine print will reveal what type you have. HomeInsurance: What Is Dwelling Coverage?